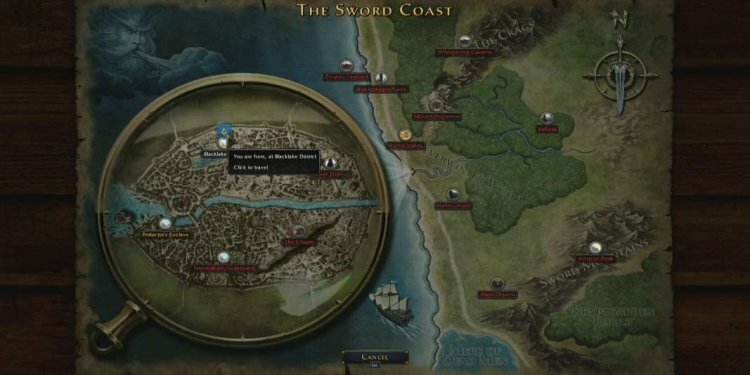 The city-state of Neverwinter has never been quite as social as it is in Atari's new turn-based tactical Facebook role-playing game, Heroes of Neverwinter. Wizards of the Coast and Atari are pushing the Forgotten Realms Neverwinter brand big time this year, with a new series of books by bestselling author R.A. Salvatore, a full-fledged co-op multiplayer role-playing game based on those books. Heroes of Neverwinter is the more social side of the initiative, but that doesn't mean it's your average Facebook game. Heroes of Neverwinter allows you and your Facebook friends to go on traditional Dungeons & Dragons adventures without actually requiring your friends. Recruit them into your party and take on any number of turn-based adventures, the proper way to replicate the pen-and-paper experience on a PC. You'll gain levels, learn new skills, disarm traps, and basically do all the things you'd expect to do in a tactical RPG. Of course there are limitations. Your adventuring is limited by action points, which can be refilled using special currency that can be purchased using real-world monies. Adventuring setbacks are often greeted by requests to spend some money on items that will strengthen your party, or revive dead teammates. There's a strong pay-to-win element, but of course you don't have to partake. Limitations aside, the game also boasts some impressive innovations, most notably the Dungeon Workshop. Upon reaching level 10, players can create and share their own adventures, earning in-game gold every time another player experiences those adventures. That means players should never want for content, and with in-game rewards on the line, most of that content should be quality stuff. Hit up the link below to check out Heroes of Neverwinter for yourself. My puny starter rogue could use all the help he can get.